After searching for stability for more than a decade, the Dutch fashion system violently changed its strategies without warning signals. Pointing out now the fragmentized Amsterdam one, which, as consequence, has catastrophically become unreadable. We analyze its current struggles and the public’s erroneous satisfaction, emphasizing the need to have it stop spinning in itself. Up exosphere, Iris van Herpen is the star that managed to add glamour (latest twist) as a scientific equation to her more wearable haute couture sculptures; something we could have not forecasted even a season ago. Cara Delevingne just worn a Fall 2017 3D metallic gown in a film première, proving beauty goes beyond those Armani Privé classics; raising the question if Van Herpen’s techniques are not the right ones to embellish the future of the ancient Italian House. A proud leadership partially shared with demi-couturier Ronald van der Kemp aka RVDK, whom I believe was the perfect candidate to take Lanvin’s empty seat as womenswear artistic director for a global shock. Indeed, a famous French female universe that needs more sexiness and off-shoulders than ever before. 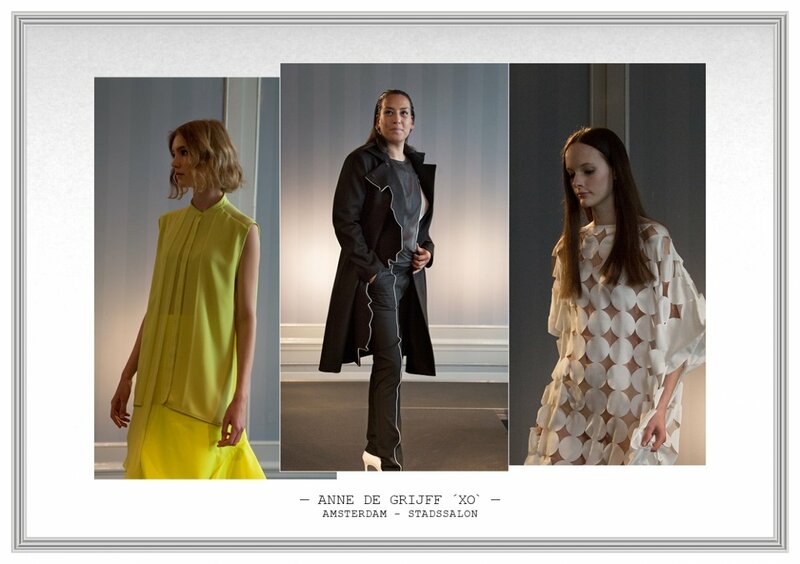 The Dutch designer would not have disappointed Lanvin’s major shareholder Mrs. Shaw-Lan Wang (Harmonie S.A.) on that one this time. But we leave them up the sky, until the next surprise! Down the atmosphere, Amsterdam is the working hub where ninety percent of the designers create from before they jump into their international sales and presentations. 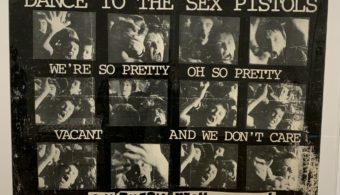 After the Paris economical grandeur, Los Angeles (Hardeman) and New York (Sies Marjan and Maison The Faux) remain the cities of preference to their own home-limited-home. 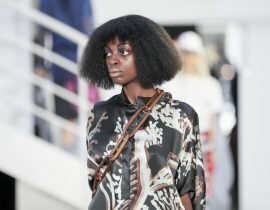 There are no local commercial tentacles offered by any existing fashion organization in order to help designers to attract international buyers into Amsterdam, and no one talks about it. Unfortunately, fashion has become a vague form of entertainment here deep the DAM where its handicaps are taboos hidden by its own public and corporate sponsors. Name them cars, or just regular visitors who fanatically keep searching for the city’s old extravaganza. A melancholic movement that refers more to the early 90’s city nightlife and its passé aesthetic, than to the currents needs of fashion itself. The confusing road started many years ago by giving the national denim industry – with its raw material that has been overused on the runway and fortunately declines prominence – the inadequate credits to be associated to contemporary fashion design. We have excellent denim brands and that’s jeanswear. Oui, c’est ça, but we have just a few fashion designers performing in Paris, compared to those from Antwerp; who have the privilege to avoid direct association with indigo or any massive commerce form. These two segments have been mixed in The Netherlands, and it seems impossible to separate them right now. The reason why many designers choose to first present autonomous or only abroad, far from their foggy Amsterdam. Baby designers anxious for exposure and ovation are busy collecting Instagram followers; compared to the few brave ones dealing with sales. This creates a tremendous overdose-traffic and we have no other choice than sorting it out. The obsession for just graduated new talents and collectives is adding hysteria as a trend, which is taking all of us nowhere. Rush, rush and more rush, but what for? Let’s keep focusing on our Dutch Dries, Ann, Walter, Raf, An & Filip, Dirk, Veronique, etc. Our own designers ‘on-route’ to success, a group that will first need to consolidate before we can say we own a representative generation. Focusing on this priority, will guarantee space for the next generations. We already have one Maison The Faux, do we need the urgency of a second one? No. In case you doubt the comparison with Antwerp, or have no answer for the often neglected question if the country is a fashion representative; it is down there before you cross the Belgium border where the Amsterdam answer-solution is: Maastricht. With its mega structure FASHIONCLASH, its research team travels the whole year round networking and picking up there and here the newest. The prestigious festival also affords to present best-graduated students from all national and international fashion schools before anyone else in the country. Does Amsterdam really need to compete in there? The answer is irrevocably no. Let’s leave the young and raw to Maastricht, while Amsterdam should be in love with those married to Paris. And we better do it fast, before all migrating American designers take those few spaces left on the official French calendar. Thinking constructively: if Amsterdam has the obsessive need for just graduated talents, they should be put out of the runway and bring them together on a TV program. More of a Netflix series where they could have a post-educational collective experience, and avoid that intimidating moment of exposure. This will guarantee a big audience at home (the Dutch watch TV an average of three hours a day), being able to judge if beautiful or not. Let’s stop these inexperienced babies walking in public when they still don’t know how to run, and neither which way to go. Let’s put only the sales orientated ones (see our selection below) up the official calendar and seat the needed professionals first row evaluating them (buyers, investors, press, but no celebrities). A long-term official calendar: solid, with few left free spaces, as in Paris. 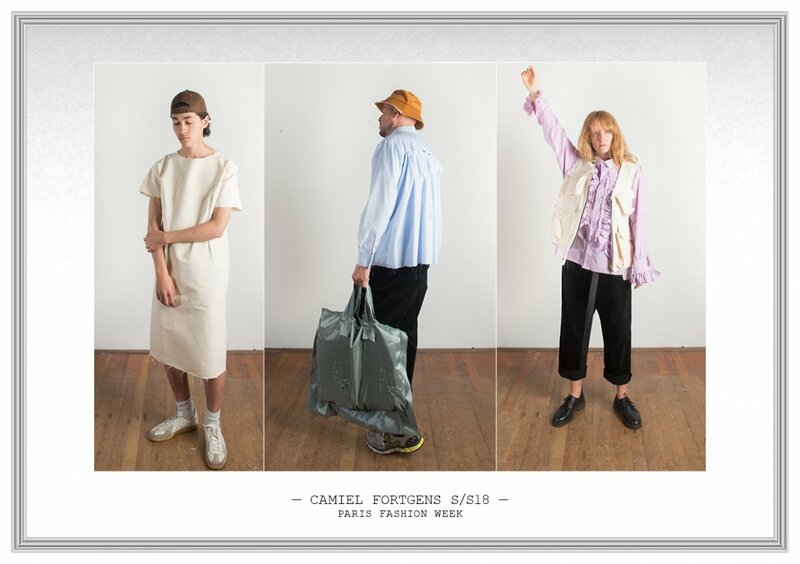 CAMIEL FORTGENS S/S18: Almost inexplicably no Dutch retailer stocks this unnoticed brand, but Camiel Fortgens has carefully conquered international retailers with one storyline: comfort is first for charming boys, and sometimes, for awesome girls. The unisex product has seduced overseas new accounts including Osaka’s Wallace & Murron, Jana Torino; and many more to be revealed before spring-summer 2018 sunrises. There’s a bit of Amsterdam on those ruffled over-shirts that bring street-wear to upper class, so high, we’re realizing the brilliance behind it just right now. Expectations? Yes, knitwear, footwear and sunglasses; these all could bring the brand into finishing details; finally renovating the sleeping Dutch menswear. 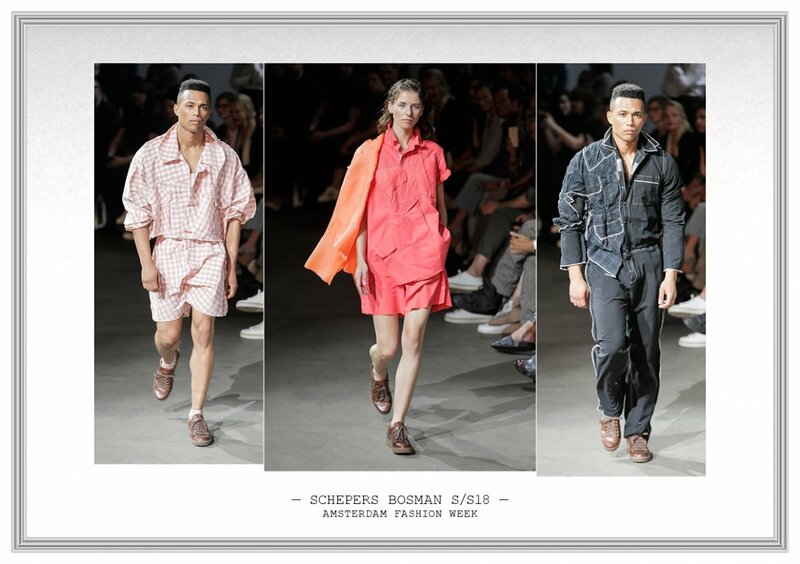 SCHEPERS BOSMAN S/S18: Their recent and second runway presentation emphasized what we already saw last January: bodies are the place to endlessly construct with fabrics, preferably and pleasantly, all around them. Though I would have preferred more boxing shorts instead of pants, the romance in between checks and flowers was loyal. Inspired by the work of sculptor John Chamberlain, ArtEZ’s bachelor graduates duo with masters in London in Paris, have been selected as finalist for the international Mercedes-Benz Les Etoiles 2017 competition. I reverenced their overalls in early 2016 when they sent formula-one styles as the new suit; a silhouette, that has remained irreplaceable for many others; soon to be available online. 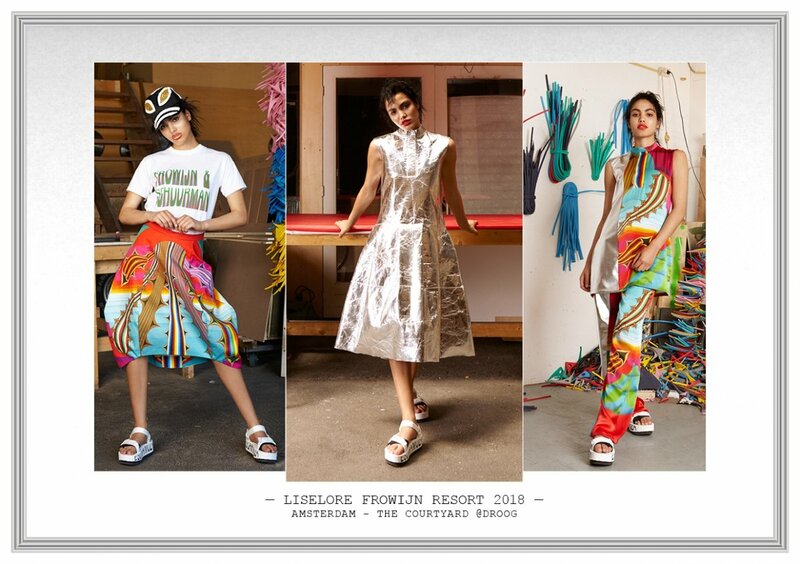 LISELORE FROWIJN RESORT 2018: Focusing on sustainability by using silver leather – a non-woven textile made from pineapple leaves fibres – and Frowijn’s collaboration with graphic designer Michiel Schuurman to elaborate her own furious fabrics; the designer made it all absolutely independent. A trip to Mexico last March brought full awareness on the endless HOPE natives have for one day being part of one world instead of being separated by a wall. Pictorially, the cactus in the print represents a natural sword, but mythologically; it also means hope. Right after her presentation last July at Droog, The Toyama Prefectural Museum of Art & Design in Japan booked a few Resort 2018 looks to be exhibited, as examples of innovation applied into textiles. 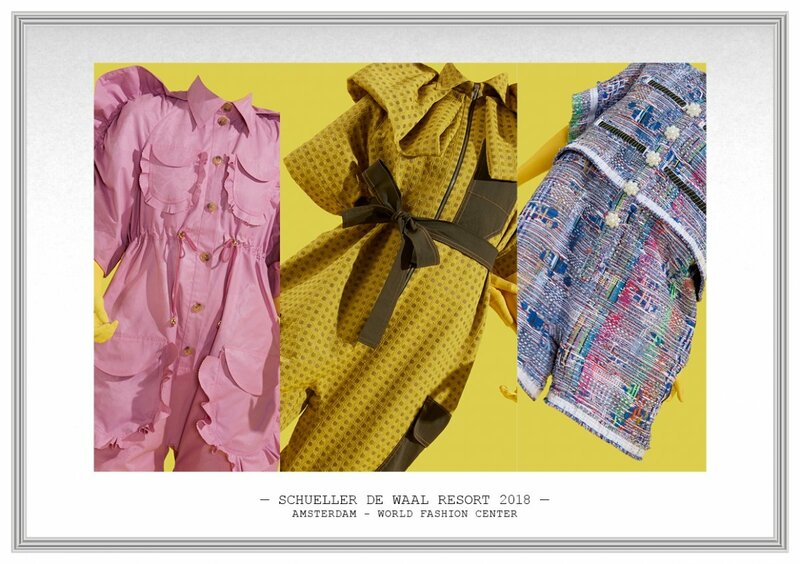 SCHUELLER DE WAAL RESORT 2018: With a few weeks left for what will be their official ‘first & fabulous’ show schedule for September 6th in Amsterdam, we sneak peak paying attention to their recent SS18 teaser: ‘LET’S STAY IN BED FOR THIS SEASON’. Inviting you all for a resort nap, six looks are part of a compact capsule collection going nowhere, but chilling in bed, while wearing a jumpsuit. Amsterdam retailer MENAGE is the local dealer stocking SDW’s FW18, their sixth playful collection. 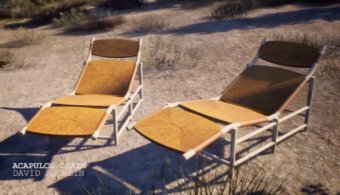 It’s the duo’s creative motivation for this rather too-gorgeous-to-sleep situation, which brings women to go shopping for sun and fun! HARDEMAN A/W17: The female power behind HARDEMAN, is Sophie Hardeman, our number one Dutch Indigo Woman. This Amsterdam born designer took on to create and even compete with the mid 90’s start of Renzo Rozzo’s DIESEL when campaigns turned into billboards all over the world; bringing them now into the next level. While sales are based in London and Paris, her big love for LA brought the FW17 to be presented at PLAZA Night Club on La Brea Ave, Hollywood. Diversity and individualism is the drag bar’s dress code, comedy and culture shock were left to HARDEMAN. Once the spectacle ended, the bar owner wanted to book the show again, how salsa and merengue is that? Whale tails are mostly awkward in your face, but her 00’s replicas are more of a normal everyday thing; we start to like it. TRINHBECX S/S18: When two young men dedicate their hands designing confident women, sensual comfort could be created around the body; absolutely reflected in TRINHBECX’s latest work. Inspired by 2011 Araki’s photography series, the ‘Beast-and-Flower’, powerful women seemed to have left the nostalgia around camera lenses and enter the real world as wild cocoons. 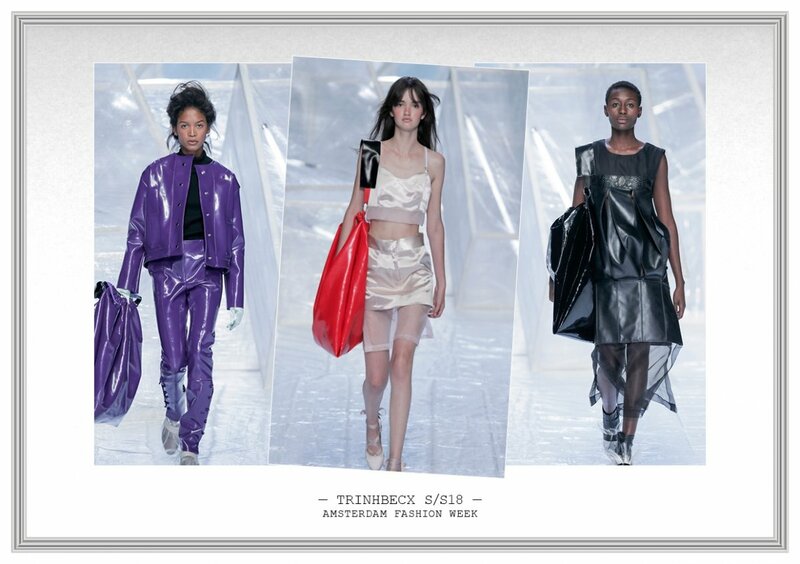 When re-editing the rather long collection (twenty looks would have been sufficient and ideal), the strength was not exactly in the unnecessary cutout deconstruction, but instead in the elegant clash in between transparencies, lacquered fabrics and glossy vinyl. 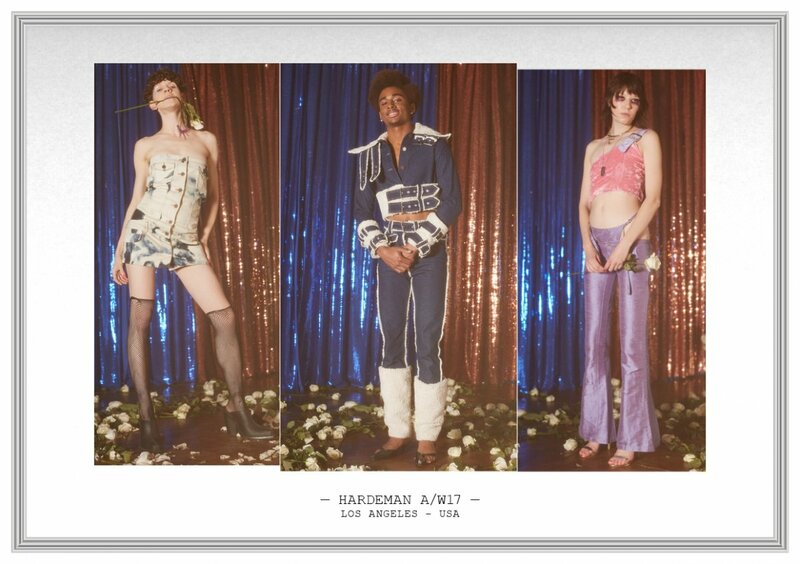 MAISON THE FAUX PRE S/S18: Returning to Amsterdam’s runway brought the design duo to combine PRE S/S18 and a mega set design before heading NYC for the main S/S18 show in September. The ultraviolet space, with solarium beds, was crowded with the most individual models-clients (diversity is one of the house’s specialties), but it went slightly different with their choice of fabrics. Aside to their regular denims, pastel cotton gabardines and jerseys, it was only in the bicolor tweed combinations where the indoor tanning got to shine and flattering was taken into consideration. 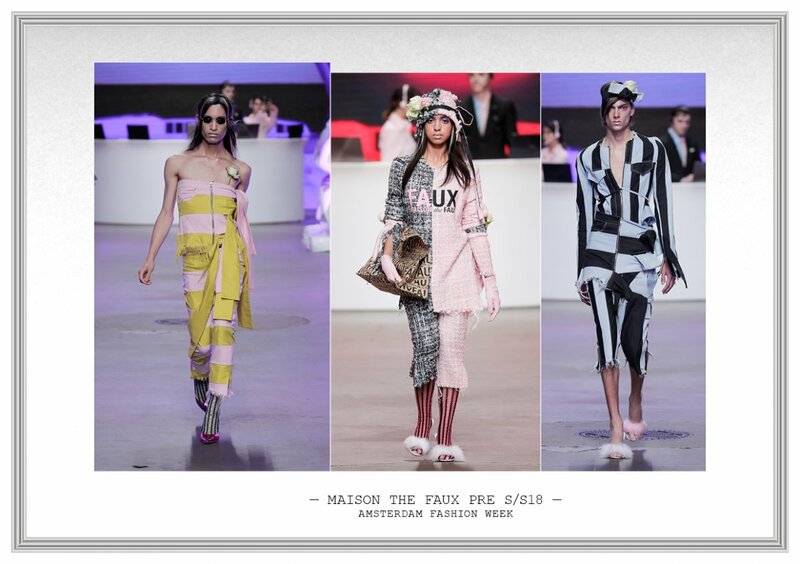 Let’s expect the Big Apple will push tweeds to skylines (as seen at center here, my favorite look), possibly following Junya Watanabe’s SS08 Chanel madness; and then the story will start steaming. ANNE DE GRIJFF ‘XO’: De Grijff’s constructed vision includes a beautiful acoustic, similar to the salon ones. With three years working under her own strategy made-to-measure, there’s a clientele following the designer’s work with no rush, but space to hear the stories decorating her garments. Shown independently last May in a private venue creating a couture atmosphere; the event emphasized Dutch design is also about pureness and timid details. A no-seasonal collection gives the client every now and then the chance to review it, add combinations; or simply adjust it. Interactive poetry as communication and service: some clients have also been portrayed on her clothes by photographer Koos Breukel; getting closer to those female souls instead of using generic ways. Hectic systems are to be rejected, niche networks to be dressed from head-to-toe; and she owns that leadership in town.